Long before Avengers: Infinity War, Kingdom Hearts was the most ambitious crossover event in history. When Kingdom Hearts first released back in 2002, it was pitched as a batshit blend of Disney and Final Fantasy. All across its story, you met characters from Final Fantasy's history, from Squall (er, "Leon") to Sephiroth. As the series has gone on, Final Fantasy has waned in focus, despite characters such as Zack and even Neku from The World Ends With You popping up across its spin-offs. Our wildest fantasies about Final Fantasy and Disney crossover aren't dead yet, luckily, as Kingdom Hearts 3 director Tetsuya Nomura assured us during this week's E3 2018. 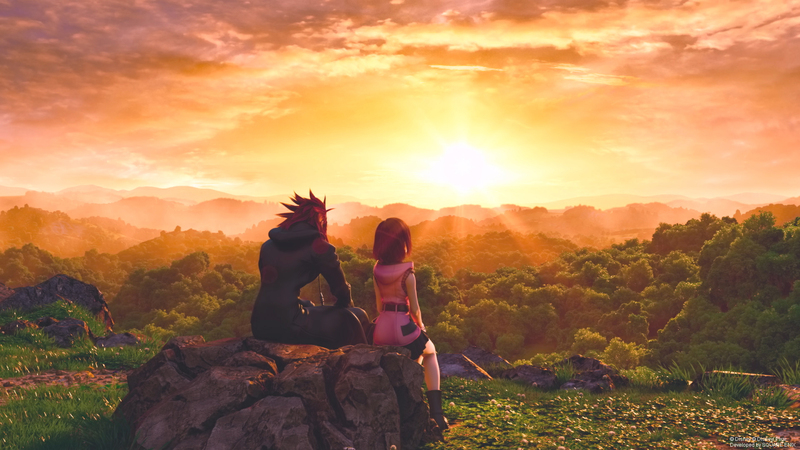 We sat down with him to hear more about the change in direction, and if the reports of there being fewer Final Fantasy elements in Kingdom Hearts 3 held any weight. 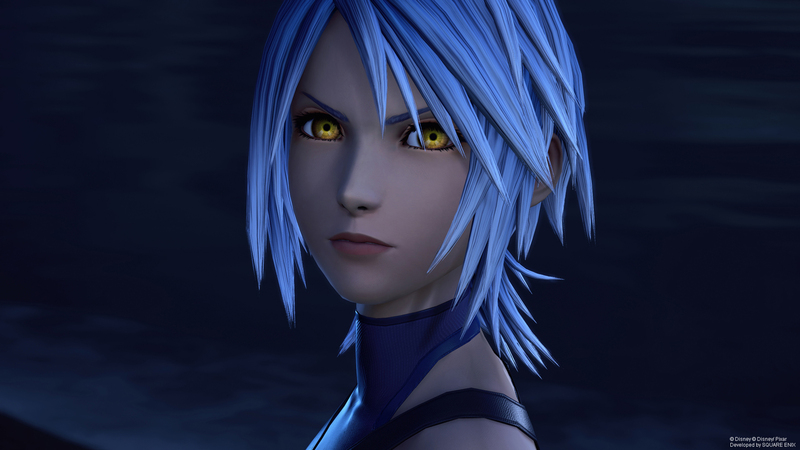 Seems like original characters, such as Aqua from Birth By Sleep and the ever-looming Organization XIII, will be getting more screentime in Kingdom Hearts 3. "I can't disclose too much about the Final Fantasy characters or whether or not they'll be in Kingdom Hearts 3, because I can only speak to what's been shown," Nomura tells us. "But the reason you haven't been shown any Final Fantasy characters is that there are so many original characters that need to resolve their own problems and issues. And because their issues and problems are very difficult, there just hasn't been that much space to fit Final Fantasy characters so far." It's true. From Kingdom Hearts' many spin-offs to its proper numbered sequel that quadrupled the main cast (and a spin-off, Birth by Sleep, that basically doubled that), there's a large number of original characters in the current "Xehanort" saga. The most recent full-scale Kingdom Hearts game was the 2012 Nintendo 3DS title Kingdom Hearts 3D: Dream Drop Distance. The portable title released a whole ten years after the first game's debut, and quite a lot has changed in the series—and the industry at large—since then. Kairi and Axel are two big original characters in the Kingdom Hearts universe. "When you look back on the first Kingdom Hearts, Sora was still a new character, so we kind of had the Final Fantasy characters as supporting characters," Nomura says. "But now that it's been 15 years, the original characters are more polished than they were before, so I don't think think they need the Final Fantasy characters help as much as they did before. [...] Also, when we first released Kingdom Hearts, there weren't that many other titles that brought together the Final Fantasy characters. I actually think that Kingdom Hearts may have been the first to do that. But nowadays, there are an abundance of titles that do that, so I don't see the value of having that kind of feature in the game anymore. But that doesn't mean that I'm saying that there won't be any Final Fantasy characters. Please look forward to future information." Kingdom Hearts 3, after initially being planned for a 2018 release, will officially be out on PS4 and Xbox One on January 29, 2019. This week, it got three new trailers showing off its two newest worlds: a Pirates of the Caribbean world, returning from its debut in Kingdom Hearts 2, and a Frozen-themed world. Stay tuned to the site for our full interview with Tetsuya Nomura. Be sure to check out our E3 2018 hub for all the latest news and our everything we know guide to Kingdom Hearts 3. Reporting contributed by Kat Bailey. Tagged with E3 2018,	News,	Role Playing Games,	Square Enix.